It’s not every day, or even every generation, that a formerly illicit industry goes legit — and in a monumental way. But that’s precisely what’s going to happen in Canada on October 17, when legal cannabis becomes part of the law of the land, and with repercussions right across the board socially, politically and, as has gone unnoticed by virtually no one, economically. Indeed, some analysts estimate that cannabis legalization could be a more than $20–billion boon for the country’s economy, and the first tentative step into an international market estimated to be worth $200 billion. It has the potential to be, for any number of businesses and adjacent industries, a game-changer. So what do we know about it? What does cannabis legalization actually mean? There are as many question as answers as Canada — the first G20 country to legalize pot — moves into uncharted territory: What will this nascent industry look like? Who will be its haves and have-nots? What will the impact of women be? What do we really know about this multifaceted plant? How will the wrongs of the war on drugs be redressed? Who are some of the folks already getting ahead of the entrepreneurial cannabis curve? 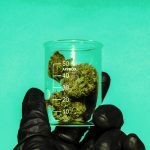 Get up to speed on legalized weed with the following special “Cannabiz” package, featuring thoughts and analyses from pioneers, leaders and other prominent cannabis industry innovators. Despite lingering uncertainties, cannabis legalization could spell great news for Canada’s economic stamp on the world. Beyond indica vs. sativa, there are many misconceptions about this fascinating herb and how it can affect the way you feel. 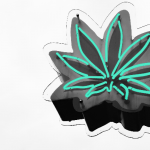 Snoop Dogg and Ted Chung, the high-rolling entrepreneurs behind MERRY JANE, share the lessons they’ve learned throughout their 20-year partnership. Industry forecasters are projecting a $20-billion cannabis market in Canada. Meet some of the visionary brands already taking this new space by storm. Many important voices are saying that it’s time to right the wrongs of the war on drugs. Can the cannabis industry be a big tent for those affected by the plant’s illicit past? Read → (De)criminalization: What comes after the war on drugs? These articles are excerpted from Transformative Collisions: The C2 Montréal 2018 Minutes, a roadmap for progressive business leaders, bold entrepreneurs and those wishing to up their creative game. You can read it in its entirety here.